The ruling Congress in the state also says it will probe all scams that came to light during the previous BJP-led government. Against the backdrop of Income Tax raids on close aides of Madhya Pradesh Chief Minister Kamal Nath, the opposition BJP says it would make corruption as the main plank of its campaign for the Lok Sabha polls. The Income-Tax Department last week said it detected a "widespread and well-organised" racket of collection of unaccounted cash of about Rs 281 crore during raids against close aides of Mr Nath and others. The Congress dubbed the searches as "pre-meditated and politically motivated". Three days after the I-T raids, the state economic offences wing (EOW) registered an FIR into the alleged Rs 3,000 crore e-tendering scam which happened when the state was ruled by the Shivraj Singh Chouhan-led BJP government. The EOW also recently registered a case of fraud and financial irregularities against BK Kuthiala, a former vice-chancellor of the city-based government run journalism university. State Congress spokesman KK Mishra said, "Our government is going to take action in all the scams, including Vyapam -- the multi-crore admission and recruitment racket, and e-tendering process of the previous BJP government in MP." The Congress would fulfill all its promises made before the last year's state Assembly polls to eliminate corruption, he said. He denied that the action was the fallout of I-T raids on Mr Nath's close aides. "The I-T searches did not yield any result, they were just politically motivated," he said. Asked about action being initiated into irregularities allegedly committed during the previous BJP government's tenure, Mr Agrawal dubbed it as "political vendetta". He claimed the action was being taken without any inqury and that it was against the law. 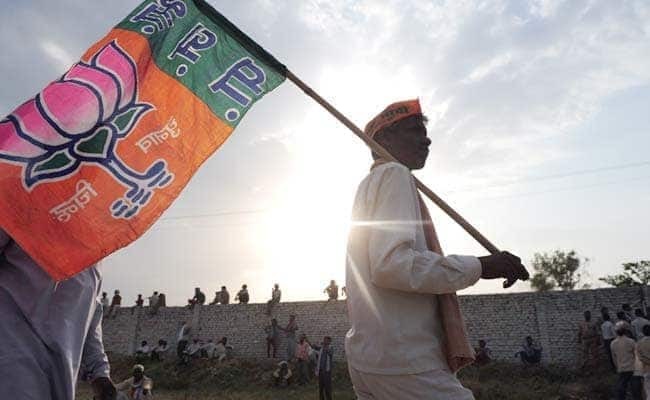 Lok Sabha elections to 29 seats in MP will be held in four phases on April 29, and May 6, 12 and 19, and the results will be declared on May 23.